Shaun White prepares to drop in during X Games Aspen 2013. White, winner of 15 summer and winter X Games gold medals, returns to Aspen this week after missing the 2016 competition. ASPEN — Shaun White is back. Though, in a way, snowboarding’s greatest star never left. White needs little introduction. The two-time Olympic gold medalist (2006 and 2010) has a record 15 X Games gold medals to his name, and is the only athlete to have won gold in both the summer and winter competitions. 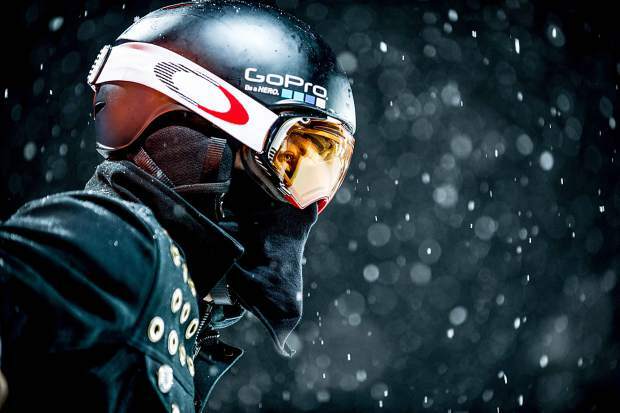 Although, his last Winter X Games medal came in 2013, when he took first in the superpipe. He opted to sit out 2014 in order to prepare for the Sochi Olympics, took fourth in the superpipe in 2015 and missed 2016 when he was uninvited by ESPN after the two sides failed to see eye to eye on the terms of him competing. White said he is happy to move on from last year’s spat and return to Aspen, a place that has defined his snowboarding career more than anywhere else. He will compete in Thursday night’s superpipe final at Buttermilk alongside the likes of Danny Davis (won X Games gold in the superpipe in both 2014 and 2015), Iouri Podladtchikov (2014 Olympic superpipe gold medalist) and Matt Ladley. Ladley, of Steamboat Springs, won superpipe gold in 2016 after heavy snowfall forced officials to call the competition after only one run. White wants to assure everyone he is far from retired. He had a bone removed from his foot late in the summer — a lingering injury that goes back almost eight years — and now at 30 is stressing fitness more than ever. His goal, like so many, is the 2018 Winter Olympics in Korea. White has been plenty busy out of the pipe, as well. Earlier this year he launched WHT Space, a men’s clothing line exclusive to Macy’s. White also owns Air + Style, a global big air snowboard competition and music festival originally founded in 1994 in Austria. White will bring the event to Los Angeles for the third time Feb. 18 and 19. With big air snowboarding set to make its Olympic debut in Korea, White hopes to turn Air + Style into an Olympic qualifier. White wants to compete for as long as he can, and that includes at X Games Aspen. He wants to return to the Olympics, his fourth-place superpipe finish in 2014 undoubtedly something he wants to make up for. The Shaun White who steps in the pipe Thursday night probably isn’t the same one who in 2012 recorded the only perfect 100 in superpipe history. He’s older and, according to him, wiser, but most importantly he is healthy and as motivated to compete as ever. Thursday’s men’s snowboard superpipe final is scheduled to begin at 8:45 p.m. and will be televised live on ESPN alongside the 8 p.m. women’s snowboard big air final. Admission is free for spectators.